Looking for a well-equipped SUV that is spacious, stylish and packed with plenty of features? 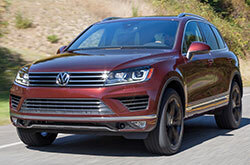 If so, consider the 2017 Volkswagen Touareg in Orlando. This year, every Touareg model now comes with an 8-inch touchscreen, a rearview camera, adaptive cruise control and a trailer hitch. It also offers plenty of useful towing that makes hauling your boat to the lake easy. Continue reading our review to find out more about this sporty SUV. 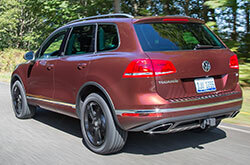 The five-passenger SUV is available in Sport w/Technology, Wolfsburg and Executive trims. Standard features include 18-inch wheels, automatic headlights, foglights, heated mirrors and automatic wipers. Inside the cabin, you'll find dual-zone automatic climate control, heated eight-way power front seats, an auto-dimming rearview mirror, Bluetooth, navigation and an eight-speaker sound system. For more luxury and amenity, 2017 Volkswagen Touareg reviews suggest choosing the Executive model. 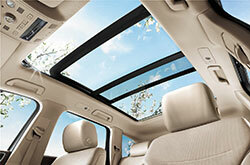 It comes with a panoramic sunroof, leather-appointed seating and driver memory functions. If it is power that you seek, you will find it in the Touareg. Underneath its hood lies a 3.6-liter V6 that makes the SUV really move. It is able to achieve 280 horsepower and 265 pound-feet of torque. Every model comes standard with an eight-speed automatic transmission. When properly equipped, this modern marvel can tow up to an impressive 7,716 pounds. Many 2017 Volkswagen Touareg reviews applaud the SUV's ability to deliver outstanding safety tech at all grades. Every model comes with post-collision automatic braking to keep the vehicle in place after a crash, numerous airbags, antilock disc brakes, and traction and stability control. There's also a forward collision warning system with automatic braking, blind-spot monitoring and lane departure warning. The top-level Executive trim gets a 360-degree camera as standard. A family-friendly SUV that is sure to turn heads, the 2017 Volkswagen Touareg in Orlando is just what you've been looking for. Stop by our dealership today for test drive! If you live in the Orlando area and have been shopping around for a new car like the 2017 Acura MDX, Nissan Murano and Ford Edge, we suggest you take a hard look at the 2017 Volkswagen Touareg. 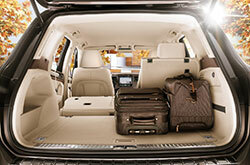 Offering an exciting personality and progressive cabin amenities, it could be just what you need from a vehicle. Use our evaluation to see if the 2017 Volkswagen Touareg is perfect for your daily needs. 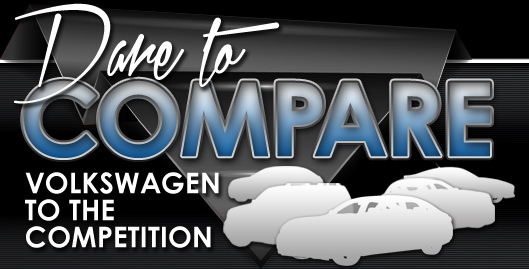 Also take a glimpse at new finance offers available at David Maus VW North! As your go-to Volkswagen dealership, we're the spot to find finance offers on the Volkswagen Touareg, as well as other new and well-maintained used vehicles. It's pivotal to make a discerning choice when searching for a car, and we hope our 2017 Volkswagen Touareg review offers a helping hand when it comes to this. 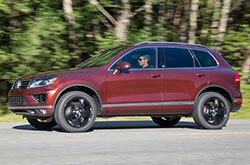 We have a huge stockpile of excellent Volkswagen Touareg models at David Maus VW North in Orlando, FL - drive one today. Before visiting, you can take a peek at its spectacular cabin equipment by looking at the enclosed video clip.